♥ I was the lucky recipient of a prize pack from Dream Art Photography. It was a very professional yet go-with-the-flow session. This beautiful photographer had the patience of a saint with my 6 day old daughter. Despite the fact that I had just moved house the morning of our session she came in & had everything under control. She rocked, she coo’d, she fed, she cuddled with white noise & most of all she took the most priceless images.<emThe images were made into a book & only the best quality product would do. I will treasure that book forever. Thank you. ♥ I am Zoes grandma, we met at the photo shoot with my daughter. I really want to thank you so much for the amazing day we had with you and for your gentleness and professionalism during the photo shoot. It was a delight to be a part of and the results are truly stunning and so heart-warming to see. I look forward to seeing more of the pictures….thank you again and so glad we found you!!! 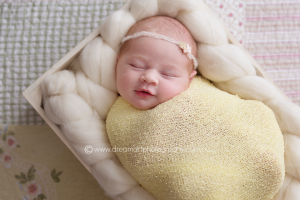 ♥ Our newborn session with Fiona from dream art was everything we hoped and more. As a first time parent with a 2 week old baby, the caring and nurturing she showed to our bub was beautiful. She patiently changed outfit after outfit with such care that everyone comments how happy and peaceful she looks in the photos. Our 4 hour shoot produced so many breathtakingly beautiful photos we still can’t decide which ones we love the most. We will definitely be booking in again for bubs 1 year cake smash as we know that there is no other photographer that cares about our baby just as much as the final photos. ♥ I first met Fiona for my pregnancy shoot, she was very supportive of my concerns about not wanting photos of me looking frumpy and took some beautiful photos. The next time was for my little mans newborn shoot and this is where Fiona’s amazing talent really shone, not only did she take some amazing photos of my baby and our family but she is a baby whisperer, he was so comfortable with her he slept most of the shoot and was happy for her to position him in many ways. I have also had some family photos taken by Fiona and she is so talented, lovely and professional. I have recommended her to everyone I know looking for a photographer.